The Ultimate resource guide for true Celtics fans! Most Boston Celtics fans have taken in at least a game or two at the Garden and have watched highlights of Larry Bird in his prime. But only real fans know about Bill Russell's pregame ritual or the history of the team's parquet floors. 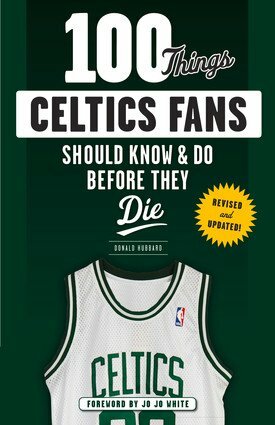 100 Things Celtics Fans Should Know & Do Before They Die is the ultimate resource for true fans of the Boston Celtics. Experienced sportswriter Don Hubbard has collected every essential piece of Celtics knowledge and trivia, as well as must-do activities, and ranks them all from 1 to 100, providing an entertaining and easy-to-follow checklist as you progress on your way to fan superstardom.